Someone asked about a history of the MacAskill Sept Society. My first thought is to give credit to two of the grand-nieces of the Cape Breton Giant, Carola MacAskill MacDonald and Emiline MacAskill Campbell. In the 1980s, these women were involved with several of their siblings in trying to establish a small museum devoted to the history of the Giant and his family. The family had been evicted from their small-holding on the Isle of Bernara, in the Outer Hebrides, in 1838, and arbitrarily resettled at Englishtown, Nova Scotia. The Giant, Angus, was six years old when he arrived on Cape Breton with his parents, grandparents, and other members of their extended family. Carola and Emiline wondered if other MacAskills scattered over the New World would like to meet each other, and perhaps help with the struggling little museum. So they planned a MacAskill Gathering to which they invited any one who was interested. For some time the first weekend in August had been designated as MacAskill Fun Days, so the Gathering just expanded on that. They sent brief notices to The Highlander magazine (which I received) and the Scottish Banner newspaper, which at that time circulated almost exclusively in Canada. I arranged my itinerary so as to attend the MacAskill Gathering. A surprising number of people showed up, from as far away as Florida and California. There were boat trips on the Bay, horseshoe and dart tournaments, an and abundance of wonderful food. There was a general opinion circulating that we ought to organize, but no one took the initiative to set up a formal business meeting. So we just had a good time, exchanged addresses, and went our separate ways. The next year, 1988, the invitation was repeated. 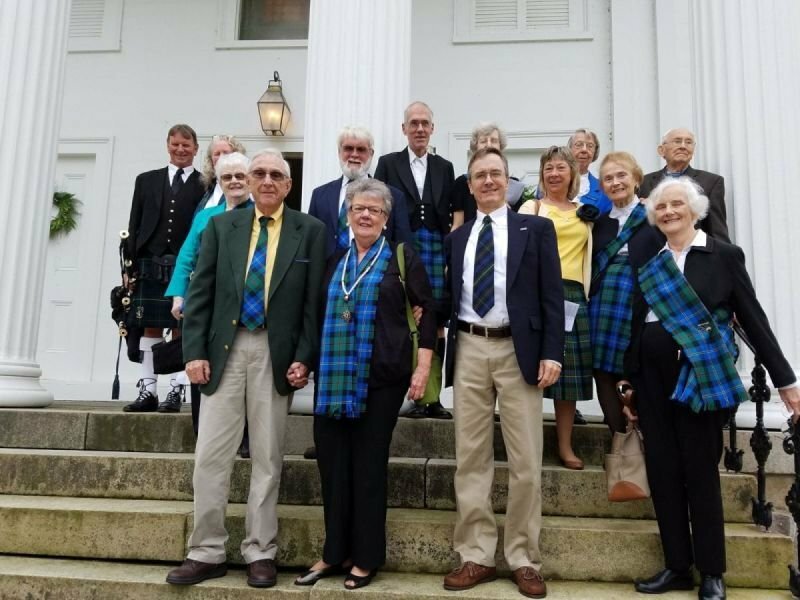 It so happened that the U.S. and Canadian Clan MacLeod Societies were holding their quandary annual joint meeting in Dearborn, Michigan, that summer, and my husband, Saul Bell, attended along with me. When that meeting was over, we rented a car and drove to Englishtown, where, again, we had a wonderful time. Saul was so impressed with the area, and especially the people, that he said we should have some sort of pied de terre there. It was, he pointed out, much closer to New Mexico than Scotland, and really just as Scottish, if not more so! Everyone got very busy about then, with work and families, and nothing more than Christmas cards were exchanged until 1997, when those MacAskill sisters again organized a Gathering. While there that time I saw a lovely lot on Goose Cove across St. Ann's Bay from Englishtown. I bought it, I got Angus MacAskill's promise to build me a house, I opened a bank account in Baddeck, and I hired a lawyer. The next summer I spent in a rented cottage in Englishtown, watching my own house go up. It was several years after that when Jamie Wilson - whose mother is a MacAskill - and I cobbled together a set of bylaws and registered the Sept Society in the province of Nova Scotia as a not-for-profit. And this is where we pick up the story of our Society!